The Kingston Public Library has a new website! If you haven’t had the chance to take a look already, please do. We’ve been working very hard to bring you a dynamic, intuitive, and informative site. Beyond its fresh appearance, it has many great features, one of which is our ability to post new content on a regular basis. This means that the Local History Room page now has a feed for Pique of the Week, where our past blog posts have been brought over. You can also peruse our current and past exhibits. Going forward, new Pique of the Week entries will be posted on the Kingston Public Library website. 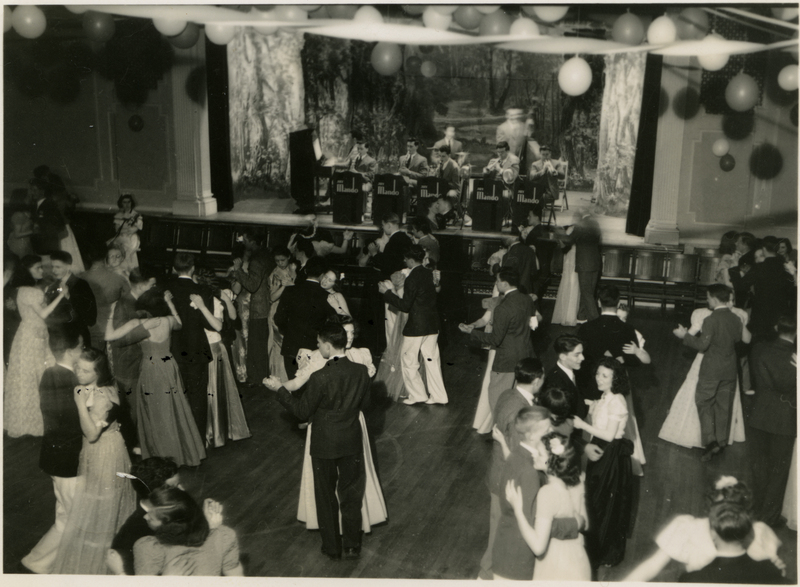 During November, the lobby display case will feature a selection of photos, invitations, and dance cards from throughout Kingston’s history. Did you know that ballroom etiquette once prescribed ladies to carry dance cards to pencil in the names of gentlemen who had reserved a dance? Or that in 1875, Kingston residents held a Thanksgiving Ball to celebrate the holiday? Stop by to learn more! Source: Image from the Mary Hathaway Collection (MC21). 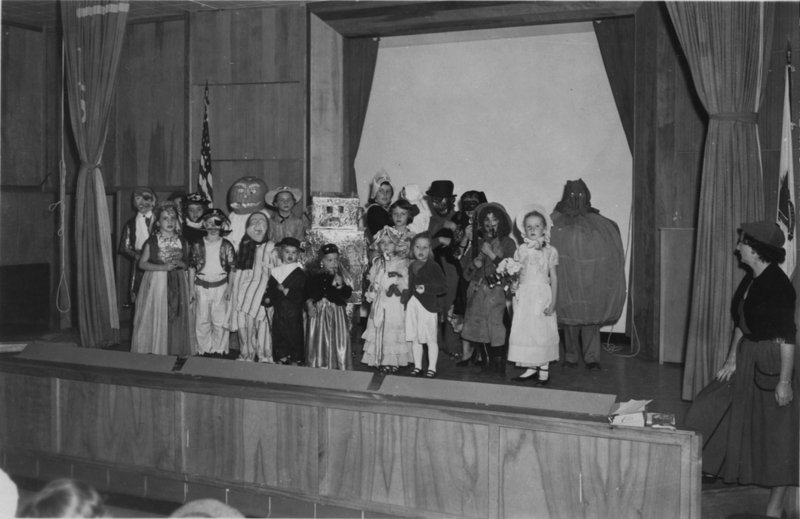 Take a look at these Halloween costume winners at Kingston Elementary School back in 1952! 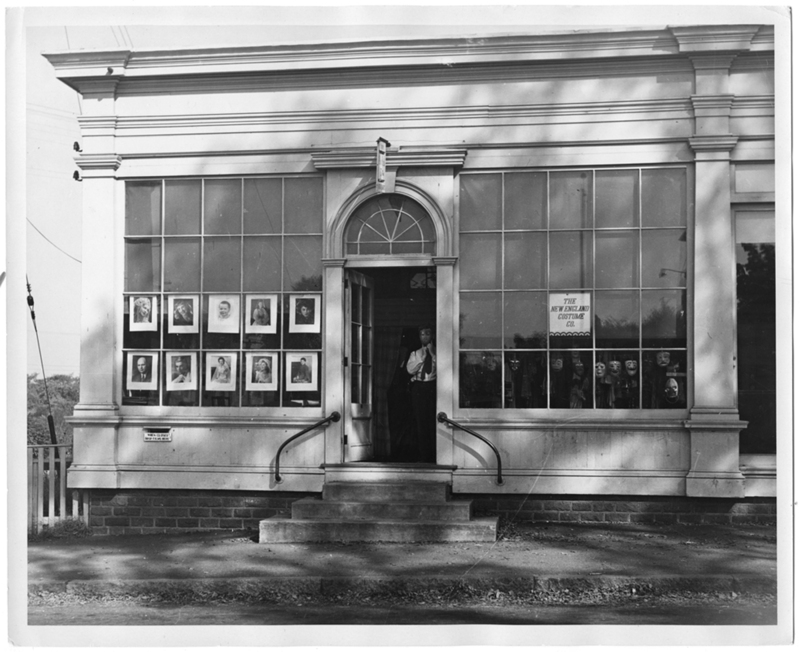 Source: This image is from the School Photographs Collection (IC5). While going through a box of photographs, I came across this striking image of Ted Avery, holding a mask in front of his face just inside the doorway of his costume shop on Summer Street. With Halloween just around the corner, it was too fitting not to share! October 18, 1919 was a known as “Welcome Home Day” in Kingston in honor of its servicemen and nurses returning from World War I. The “Welcome Home Committee” presented each with a bronze token of appreciation for service to the town and country, and sponsored festivities that included the parade seen here, as well as band concerts, decorations, speeches and a turkey supper in the Town House. There is now a monument to the 132 men and women who “entered the service” during the war. Constructed in 1926, it is located at the intersection of Summer and Green streets. Source: Images from the Emily Fuller Drew Collection (MC16). Don’t worry, you’re in the right place! We’ve just had a bit of a makeover here on Pique of the Week. We’re still the same blog, and our content is still here. But we’ve updated our appearance and added some new ways for you to browse our posts (by categories or by tags) located on the sidebar to the right. Let us know what you think! As we enjoy the last week or so of summer, take a look at this fantastic image taken by Kingston historian and photographer, Emily Fuller Drew, showing the Bearse and Drew families enjoying a clambake. It was taken around 1925 and gets even more interesting the longer you look at it. Many of the people here are looking in down toward the right, and the man in the center is reaching his arm down as well. Could he be offering up a table scrap to the family dog? What do you think? Let us know. The Local History Room has a special exhibit for September! This month we’re featuring a selection of artifacts that were excavated from the Isaac Allerton Site on Spring Street back in 1972. Orfeo Sgarzi had been about to begin construction on his new house when he and his architect, Christopher Hussey, discovered a scattering of artifacts. This led to an archaeological dig undertaken by a crew of archaeologists and volunteers from Plimoth Plantation, led by Assistant Director, Dr. James Deetz. Together, they found a number of important artifacts, including a seal-top spoon, a King James I farthing, a bale seal, an almost fully-restorable wine bottle, a stirrup, a pitchfork, the blade of a shovel, pieces of smoking pipes, projectile points, nails, shells, and an assortment of glass and ceramic shards, among others. Additionally, they uncovered the remains of not just one, but two house structures, the first having been built around 1630 and the second around 1650. The Allerton Site is one of the earliest archaeological sites in the Plymouth Colony area, and at the time it was excavated, the 1630’s structure was the first earthfast or post-in-ground house to be discovered in New England. Stop by to check out this fascinating collection! It will be displayed in the lobby exhibit case for the entire month. 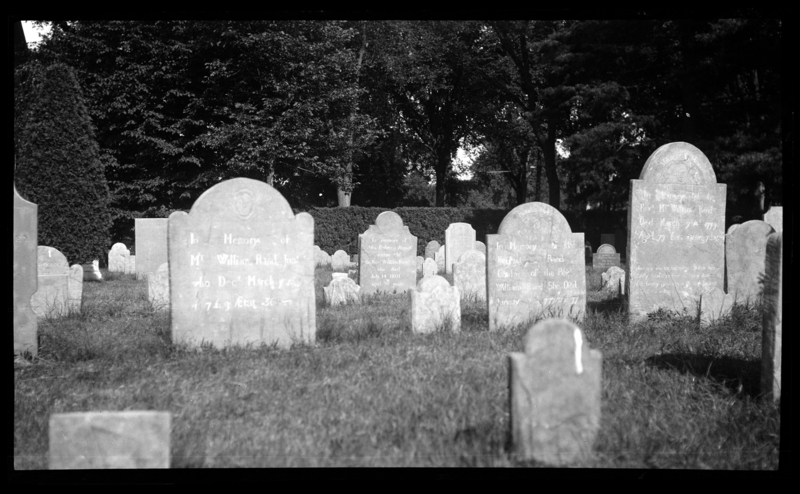 Source: This image comes from the Local History Room Image Collection (IC7).